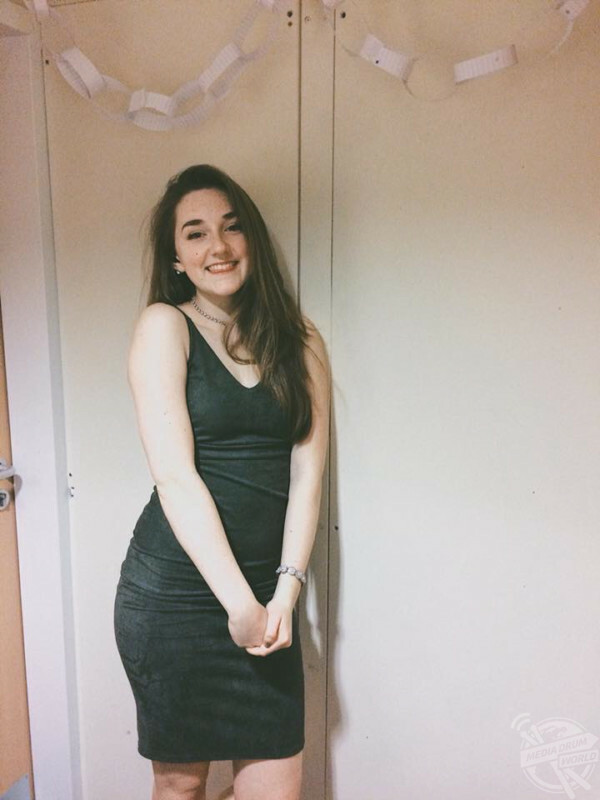 THIS BRITISH student has revealed how she embraced her painful psoriasis that made her feel like she was ‘trapped in a shell’ and even caused her body to ‘crack open and bleed’ when she stretched. 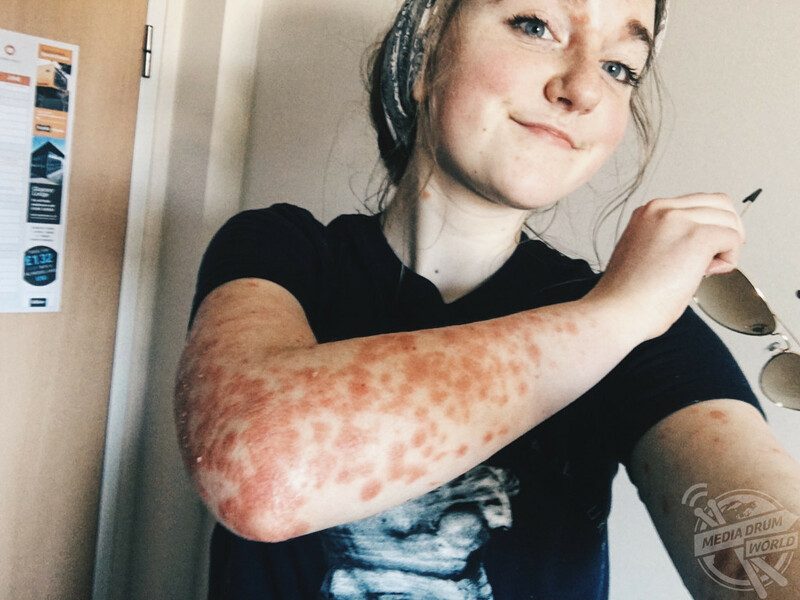 Television student, Charlotte Agnew (19) from Ellastone, Staffordshire, first noticed red spots appearing on her skin not long after she moved to university. 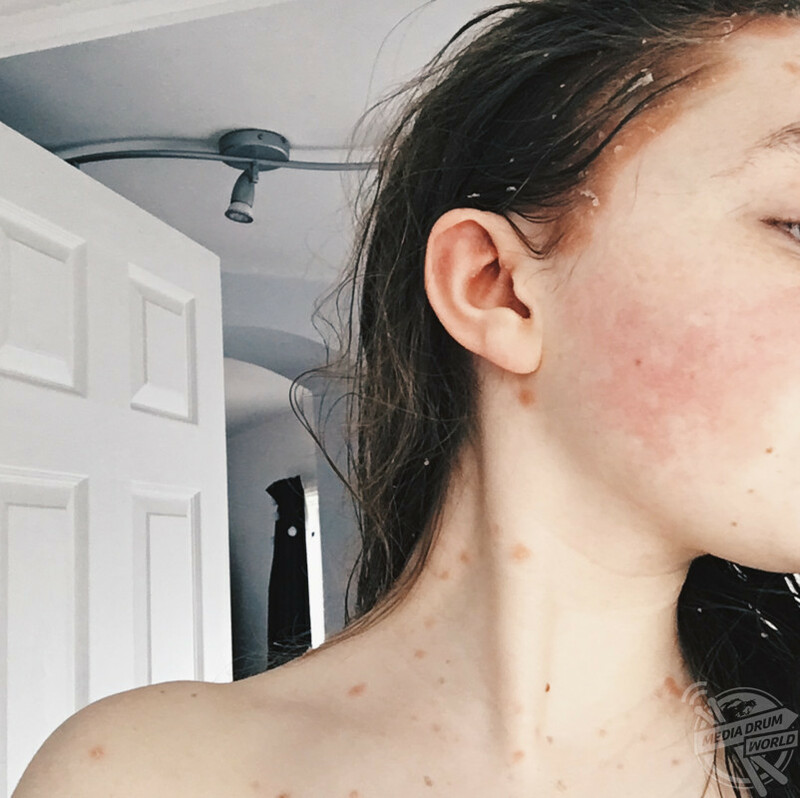 Spreading across her body, Charlotte’s confidence started to diminish as people would stare in shock and confusion at her angry skin which would crack and bleed. Charlotte’s skin condition on her legs. 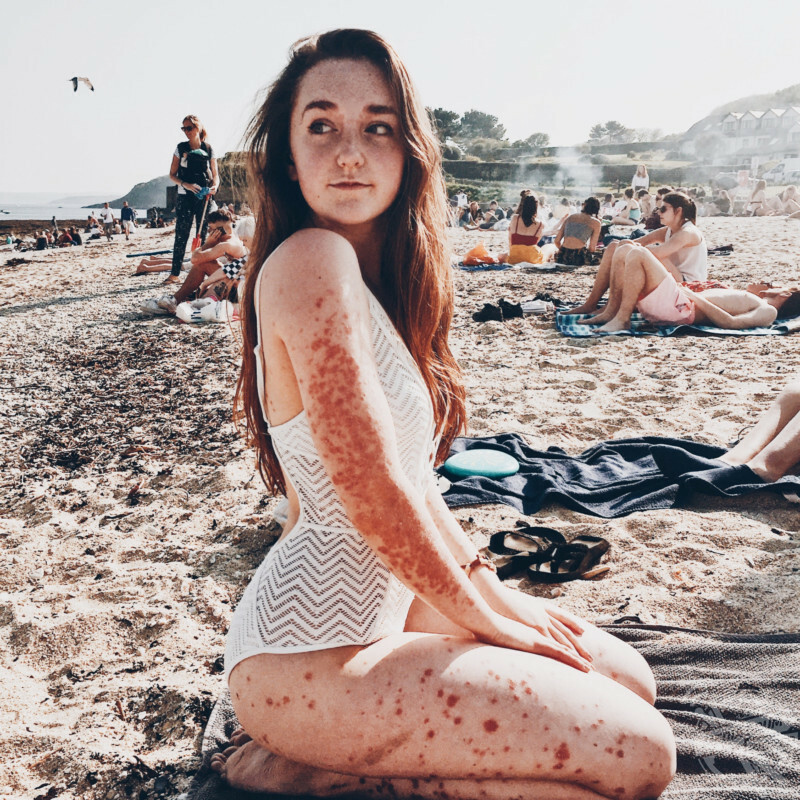 However, Charlotte has now embraced her psoriasis, and is confident to walk down the street with her arms and legs on show and enjoys going to the beach and doesn’t flinch at wearing a swimsuit. 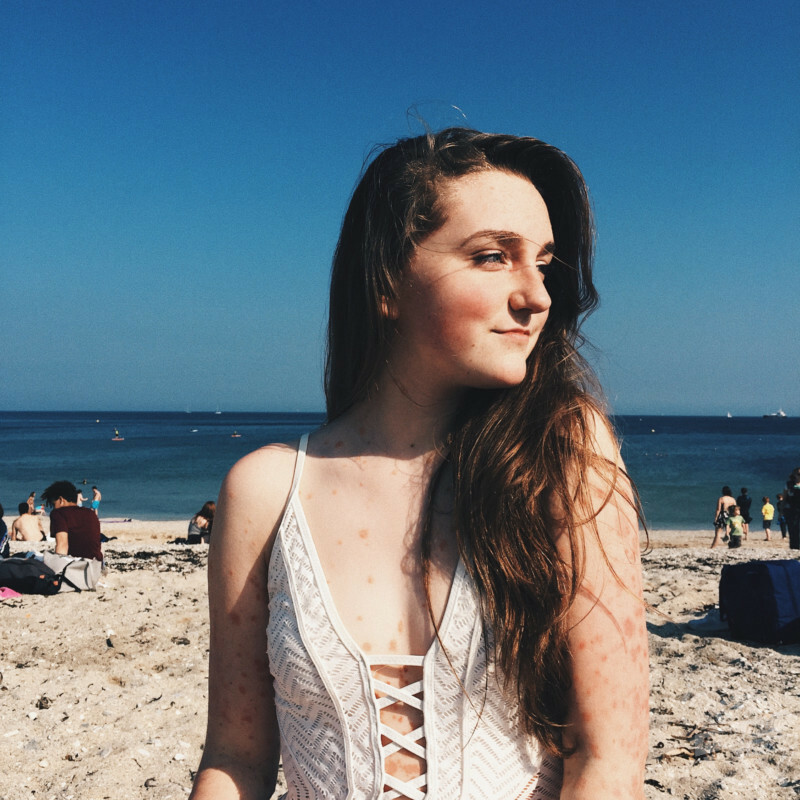 When first diagnosed with psoriasis, Charlotte tried lots of different steroid creams and treatments which were tedious to apply and didn’t help but she has found that lifestyle changes have brought about the biggest improvement to her skin. 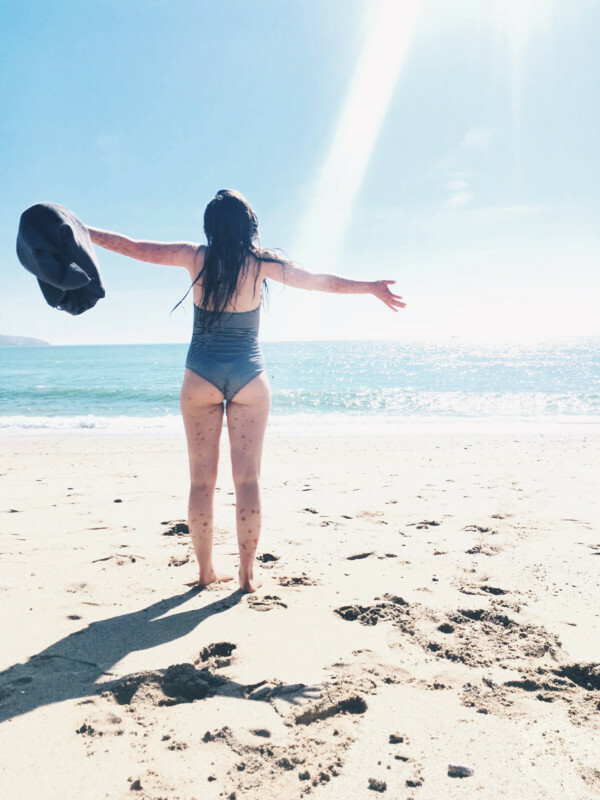 Now at university in Cornwall, she enjoys swimming in the sea as she has found that the saltwater soothes her skin and being out in the sun has helped her spots fade. 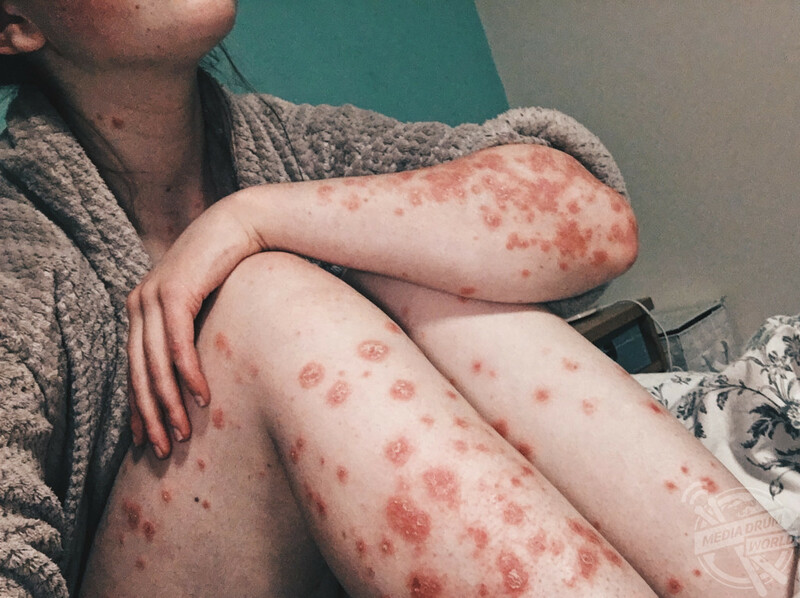 Psoriasis on Charlotte’s arms and legs. “I first started to notice small red dots appearing on my skin at the age of nineteen. 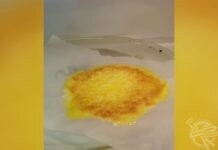 However, I’ve always had a very dry scalp since the age of fourteen,” said Charlotte. “As the spots began to spread, it continued to edge away at my confidence. People were either shocked because of how painful my skin looked or either confused because they had never seen skin like it before. 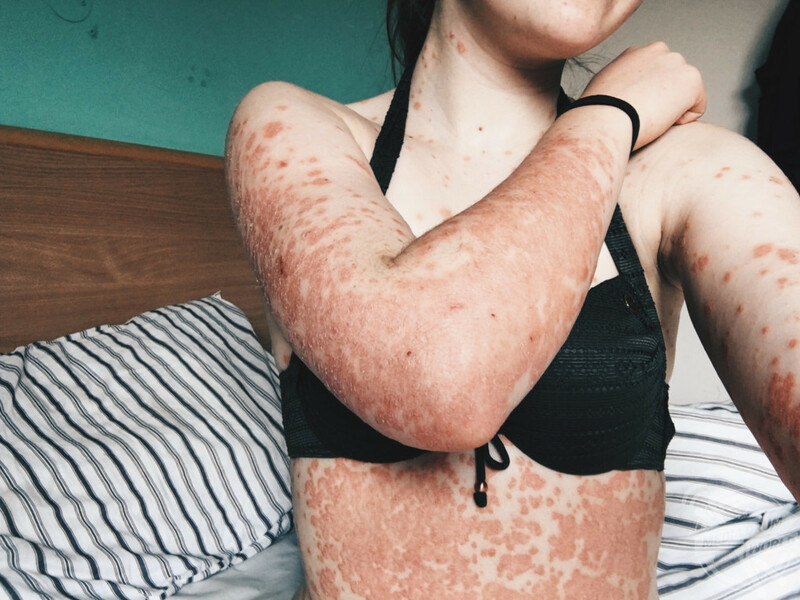 Charlotte’s skin condition doesn’t stop her from going to the beach and wearing swimsuits. “I felt alienated because I had not seen anybody else with the same skin as mine. In the mornings I used to stretch and feel my entire body crack open and bleed, which was why I felt trapped in a shell as my skin felt foreign and painful. It was hard to feel comfortable when my skin itself was uncomfortable. 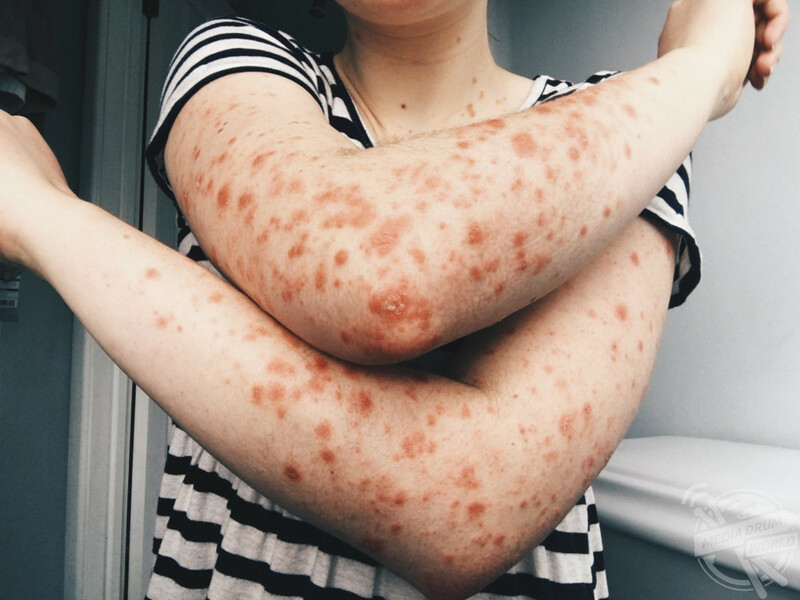 “How I feel now about my psoriasis is a huge contrast to how I felt before. My confidence has grown as I have learned to accept my skin condition as a part of my identity. I no longer feel gross, and instead have embraced my skin as a unique pattern. “It took me while to be able to walk down the streets with the skin on my arms and legs exposed. A lot of people do look, but it is spreading awareness as I often get strangers coming up to me asking what condition I’ve got. 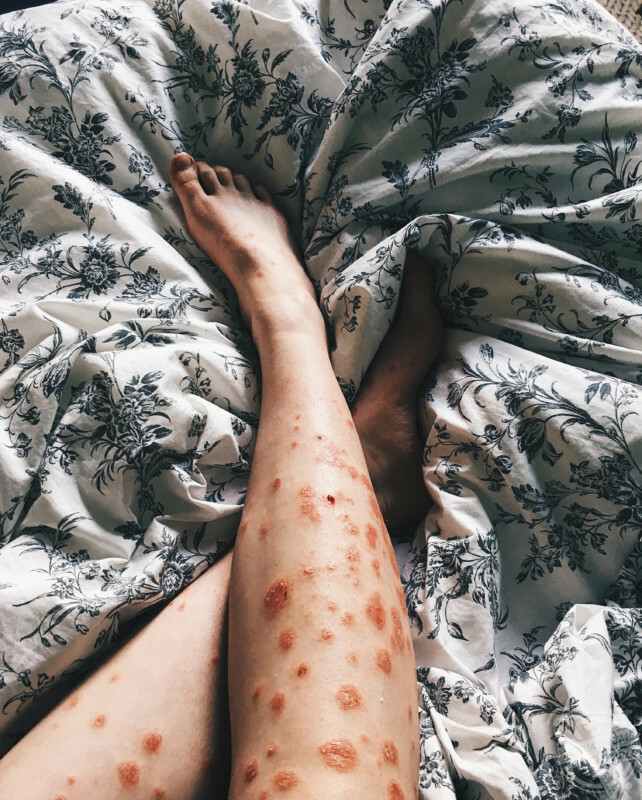 “I feel that there is a huge opportunity to turn a negative into a positive by openly talking about my psoriasis, so that others can look at me and realise that they’re not alone. “Embracing my condition helped me to accept it as a part of my identity, whereas my skin felt foreign beforehand. 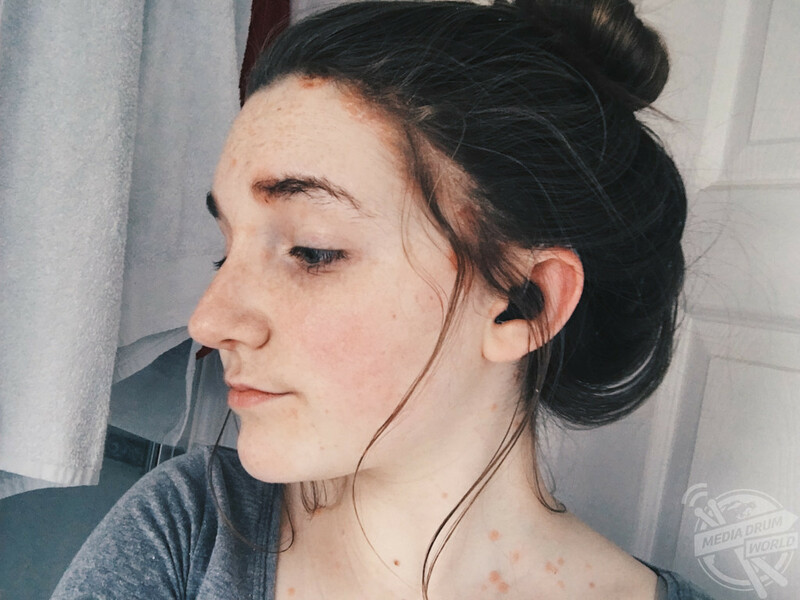 For Charlotte, figuring out what was causing her skin condition took some experimentation – she tested cutting out certain foods and reintroducing them to see what impact they had but has found that stress is the biggest trigger. However, she explains that pinpointing what caused her skin to flare has been problematic. Charlotte (right) before her psoriasis started to appear on her skin. “For the longest time I could not figure out what was causing my flare ups,” explained Charlotte. “Since I’ve been taking away and adding back certain food groups, refined-sugar or eating too much gluten seemed to be the most responsive for my skin. This was when my skin would go bright red and itchy. Charlotte’s psoriasis on her arms and body. “It’s only when I have too much and my digestive system gets overwhelmed when my skin flares. I’ve noticed the same with alcohol, which is why I’ll only consume a little only as a treat. Charlotte before her psoriasis started to appear on her skin. 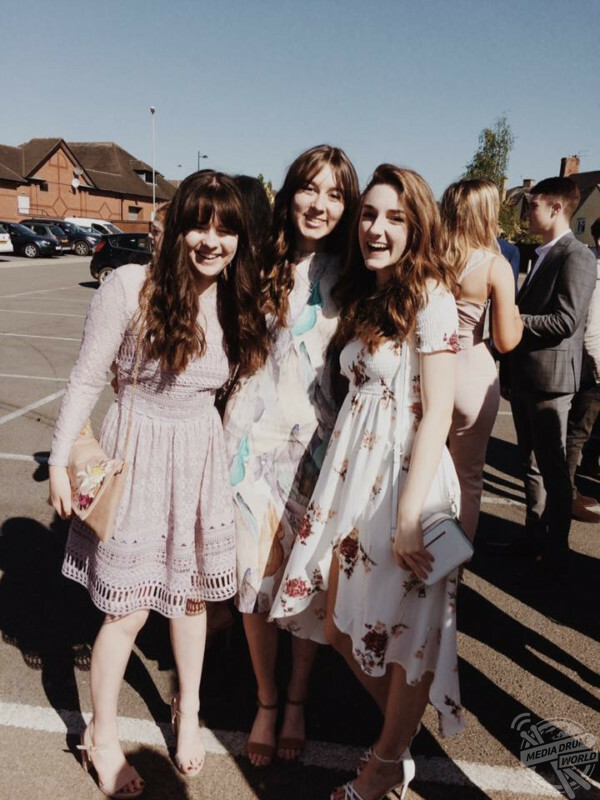 Charlotte’s friends and family have been a constant support for her and have helped her look at her skin condition in a positive light. She shared her advice to others. “My friends and family are incredibly supportive, and I am very grateful because it has made a huge difference to my recovery,” she added. Charlotte’s psoriasis on her arms. “My friends like to point out how my patterned skin makes me unique with associations to nature. For example, one friend saw rose petals on the ground and said it looked like the patterns on my legs. 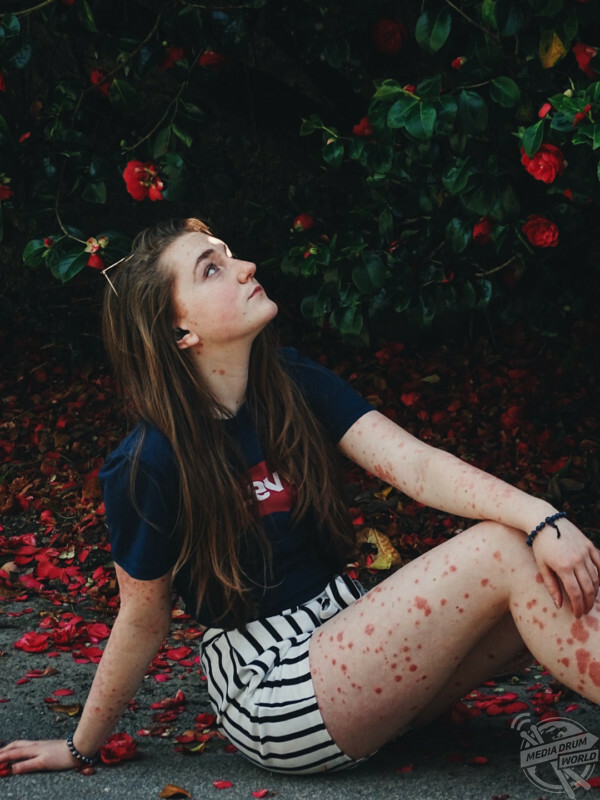 “It makes me see my skin condition in a more optimistic perspective. My family have noticed how I am a lot happier now that I am embracing my condition rather than hiding it. Charlotte is proud of her psoriasis. “Although optimistic thinking helps a lot, it is okay to have days where you need to take time out to make yourself feel better because it can mentally be very tiring. 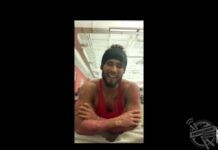 A turning point for me was accepting that the skin condition was going to take some time to heal, and that I was not the only one suffering. 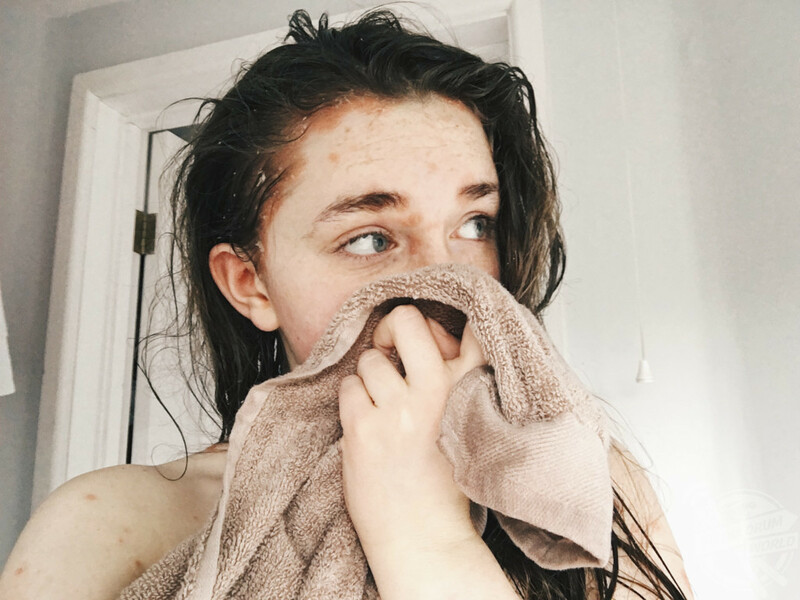 “Going onto social media and talking to other psoriasis sufferers has really opened my eyes and helped normalise something that feels quite alien to a lot of people. 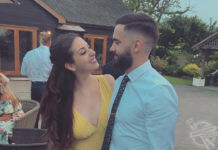 “Even being honest about the physical and mental battle on social media has helped because a lot of people are very understanding or have been through the same thing, so they’re able to offer advice to create another support network.